How many times have you found yourself without a card on a special occasion, or running to the store at the last minute to grab a card for a birthday? It used to happen to me all of the time! I could never seem to keep up with everyone’s birthdays, anniversaries and other occasions. But now I have come up with an easy way to keep track of everyone’s birthdays, stock up on cards at a great price, and keep it all organized! This summer, over the next few months, I’ll be celebrating my stepson’s birthday, my Mother-in-Law’s birthday, two of my friend’s birthdays, and attending a baby shower. So when I learned that Walmart carries Hallmark Cards for as little as 47 cents, I knew it was time to stock up! 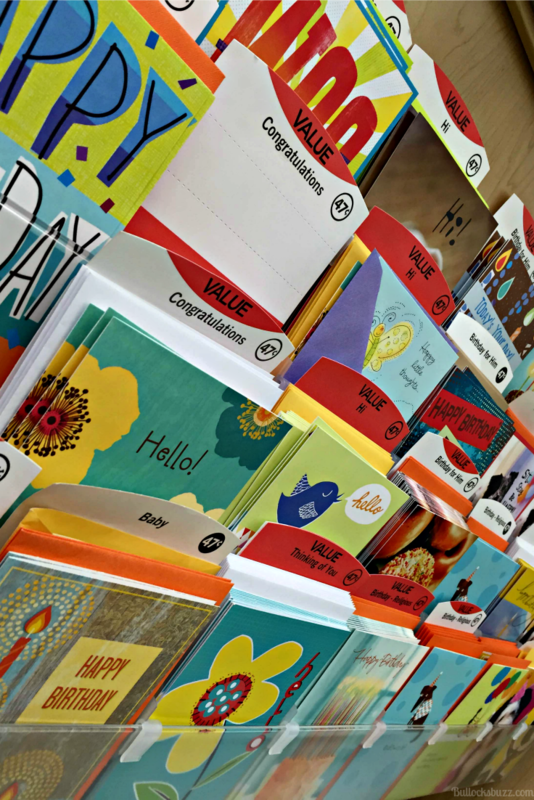 The Hallmark Cards starting at 47 cents offer cards for every occasion. The selection included everything from Birthday cards, to Get Well cards, from Congratulations to Thinking of You. They are all good quality cards (of course they are, they’re made by Hallmark), bright, fun and cheerful! And at that price you can stock up on cards for every event – which is exactly what I did. Now that I was stocked up on birthday cards – as well as a few cards for other occasions – I knew I needed a way to keep them all organized. 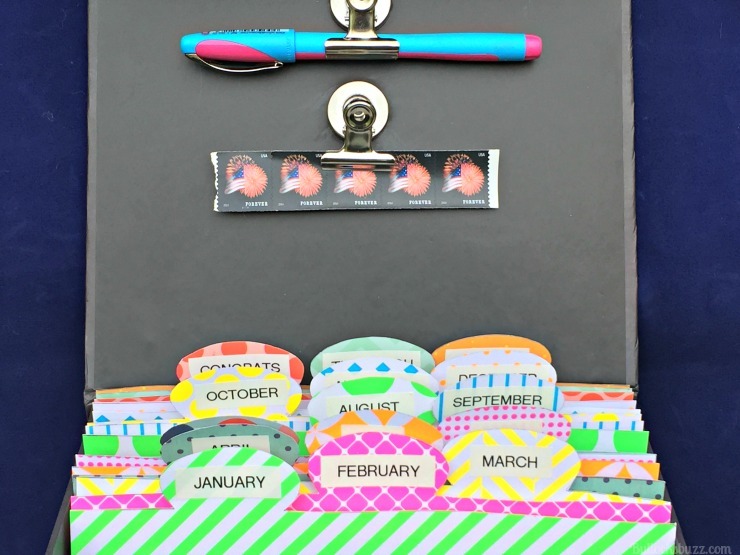 That’s when I decided to make this fun and easy DIY Birthday Card Organizer. I started by finding a box that the cards would fit in. 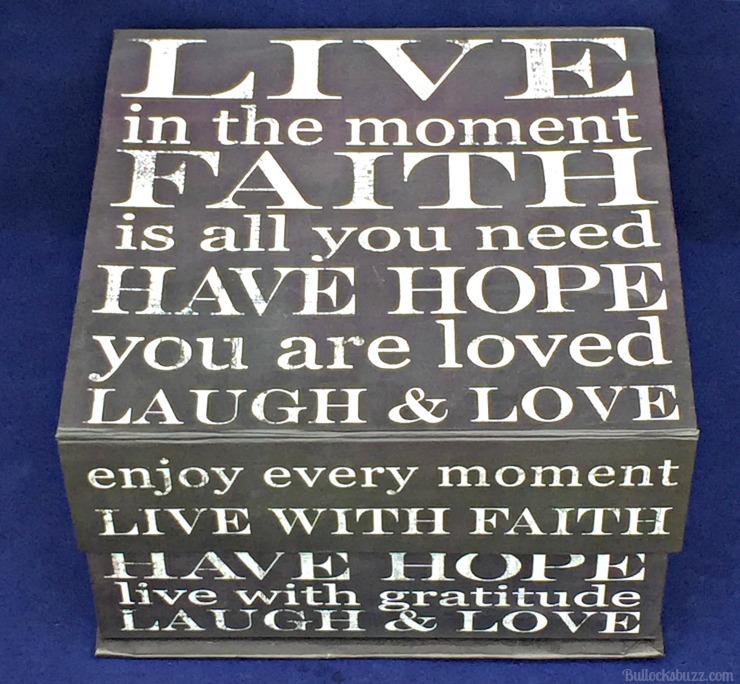 I happened to have this one at home, but Walmart carries all sorts of boxes that will work just as well! 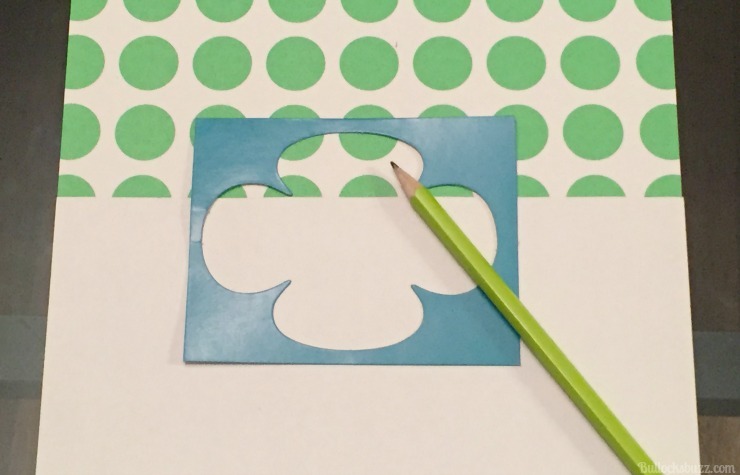 Next, using brightly colored cardstock paper (found a few aisle down from the cards at Walmart), I cut the paper down to the size I needed and used a label template to create tabs for the tops. 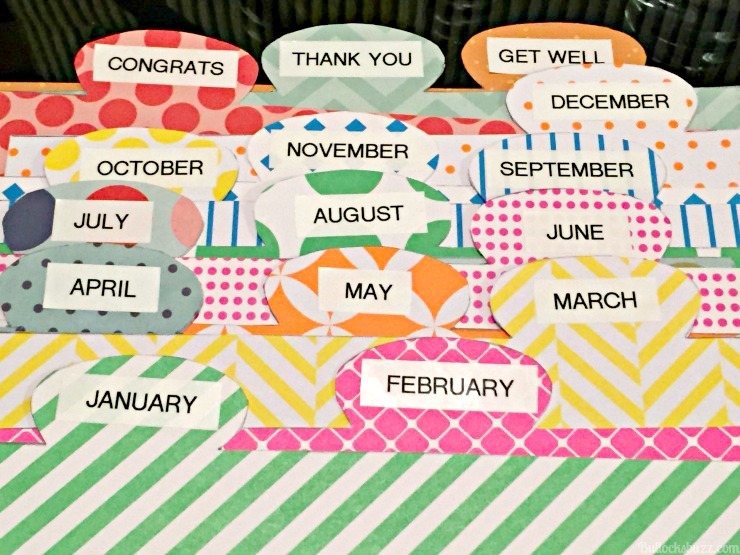 Then, using a label maker, I made a label for each month in the year, as well as one for Congratulations cards, Thank You cards, and Get Well cards. I then created a document with enough lines to correspond to each day of the month and attached one to each of the dividers (get the free printable here). 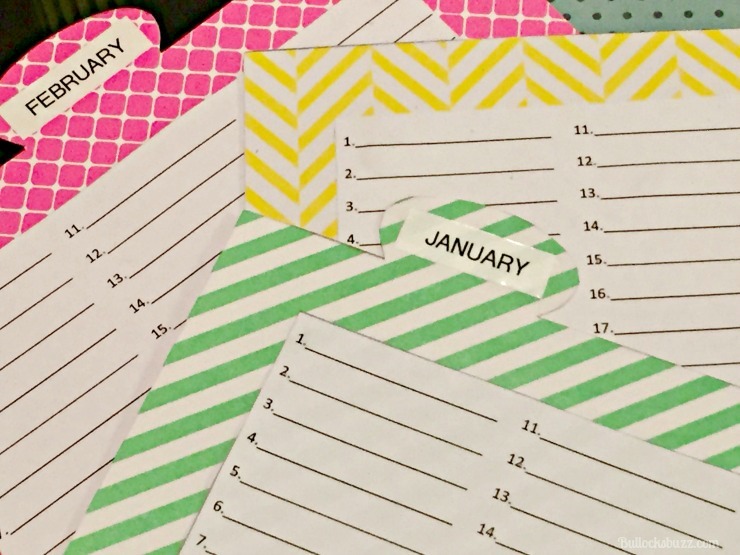 It’s a great way to keep up with who has a birthday in each month! Once the dividers were ready, I placed them in the box and began sorting out the cards into the correct months and/or categories. 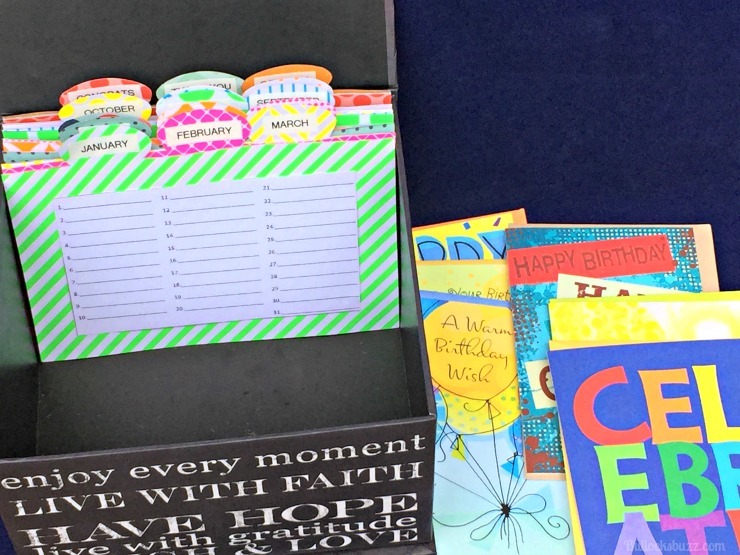 and now I not only have all of my birthday cards organized by month, but I have everything I need to fill them out and stick them in the mail in one handy place! Now all I have to remember is to check the list at the beginning of each new month and my cards get there on time every time! 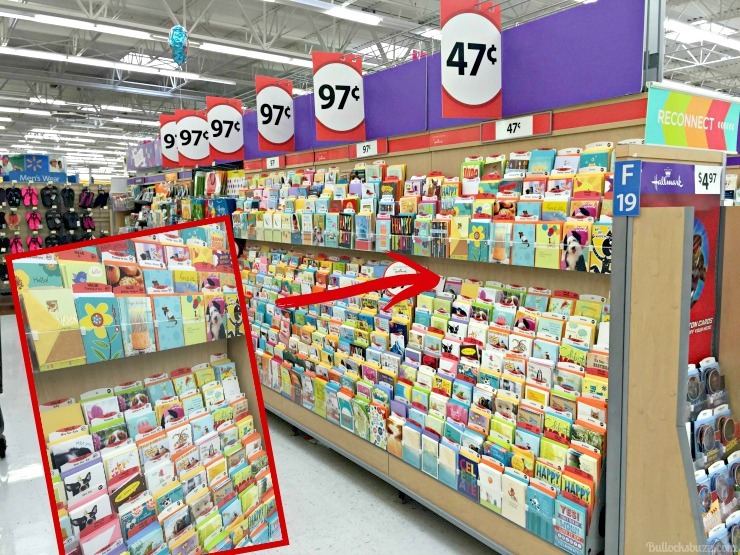 Next time you head to Walmart, be sure to drop by the greeting card aisles and look for the Hallmark cards starting at 47 cents! Along with the cards, you can also find most gift giving essentials including wrapping paper, colorful tissue, gift bags, and ribbon. Plus, if you’re at a loss of what to give your family member and friend, they also have some really cute and thoughtful gifts in the same section. It’s all very convenient! Just remember, Walmart is the only place you can find these Hallmark greeting cards for this price. 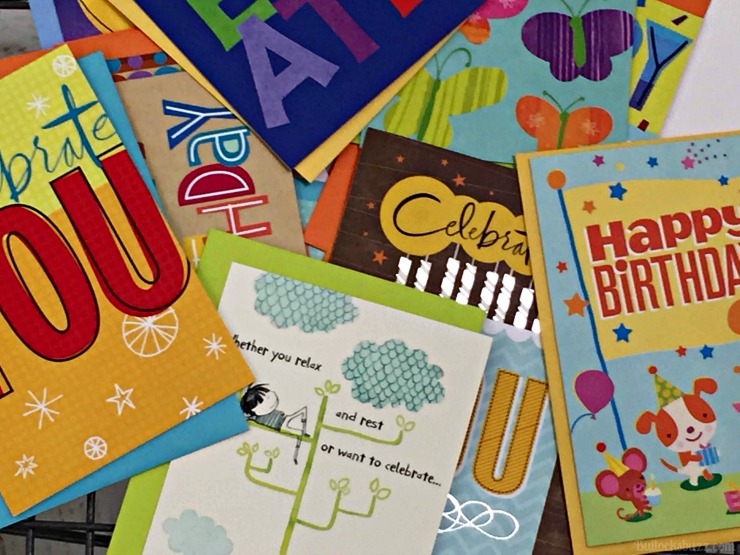 Do you have a special way you keep all of your birthday and greeting cards together? Share it with us below! I love how organized this is! 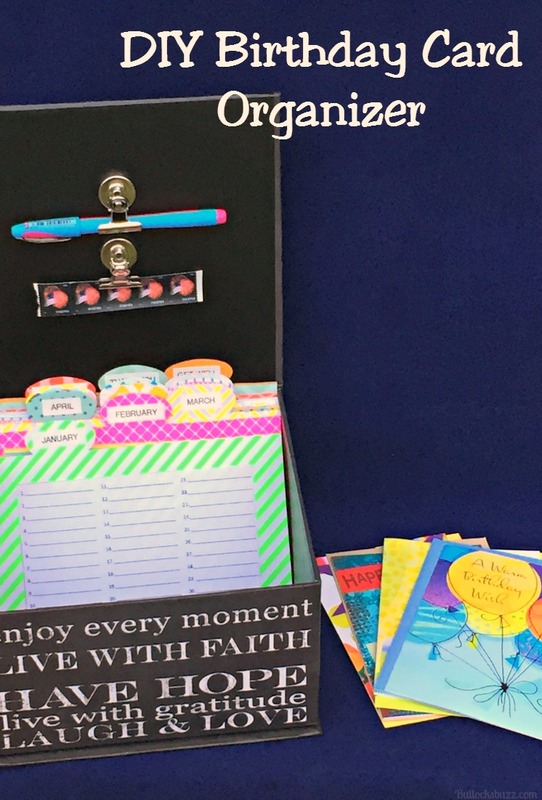 I love the idea of the list and how it is in all one box !! Thank you! It has been a huge help in making sure I remember to send out all of my friend’s and family’s birthday cards! Thanks! I know exactly what you mean! I can’t tell you how many times I’d make a last minute run to the store for cards! This has really simplified things! Plus, it was easy to make! Thank you! I’d love to see how yours turns out! They are such a HUGE help! Plus, you can add in extra slots for all sorts of occasions! No more running to the store to get a card at the last minute!